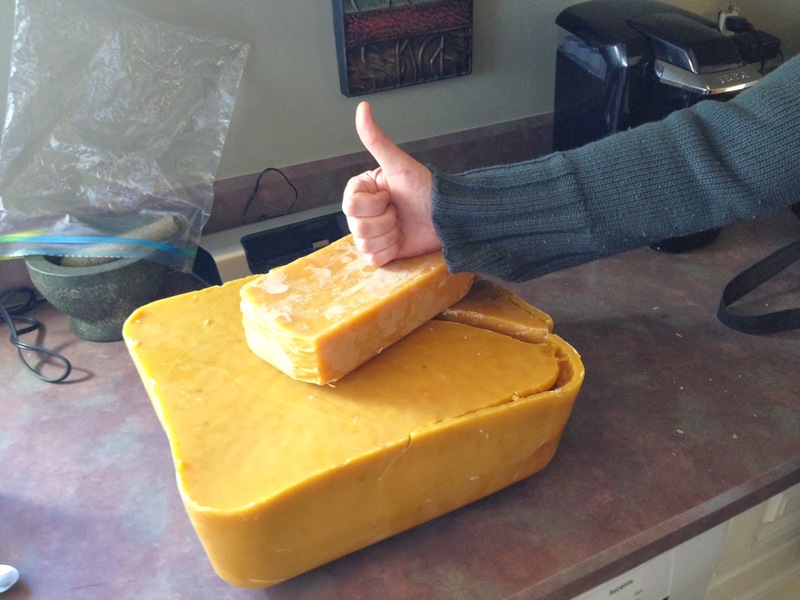 I suspect I have more than the average person's amount of beeswax. The big block was a gift from a beautiful heart friend who knows a beekeeper. How cool is that? What a wonderful start to a creative project! Definately more than a lifetime supply for lotions so candles it is. They've been on my bucket list for awhile. As luck would have it, I had a partner in crime as my husband was home and agreed to take part in this little creative endeavour. 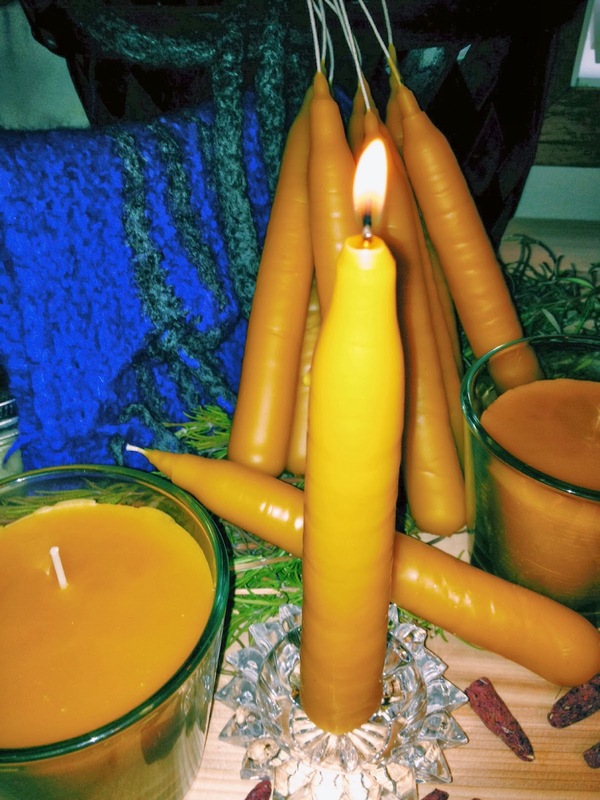 I found this link How-To-Make-Dipped-Taper-Candles and we just followed along. 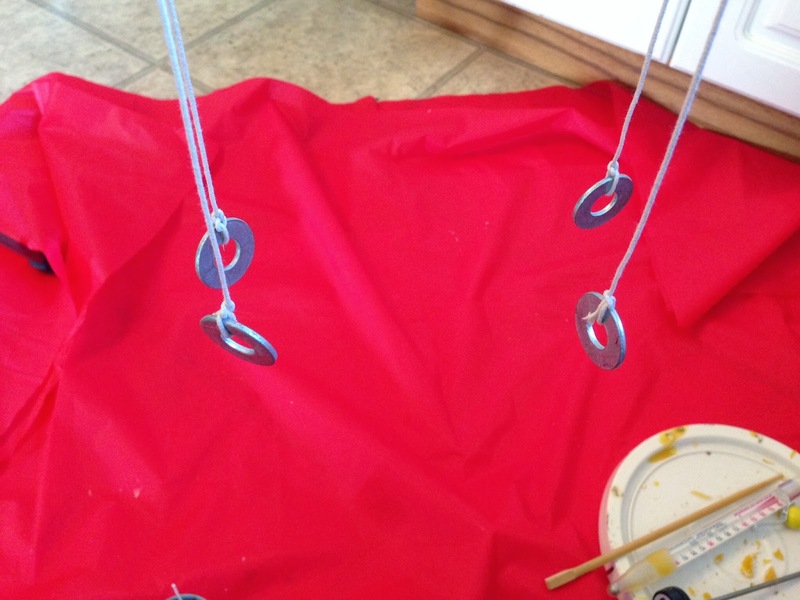 First, we needed to McGyver the set up. Amazingly, I am married to a genius in McGyvering. It's getting way harder to shock him with what I would like to make happen although the nest for the plastic owl on the roof came close. 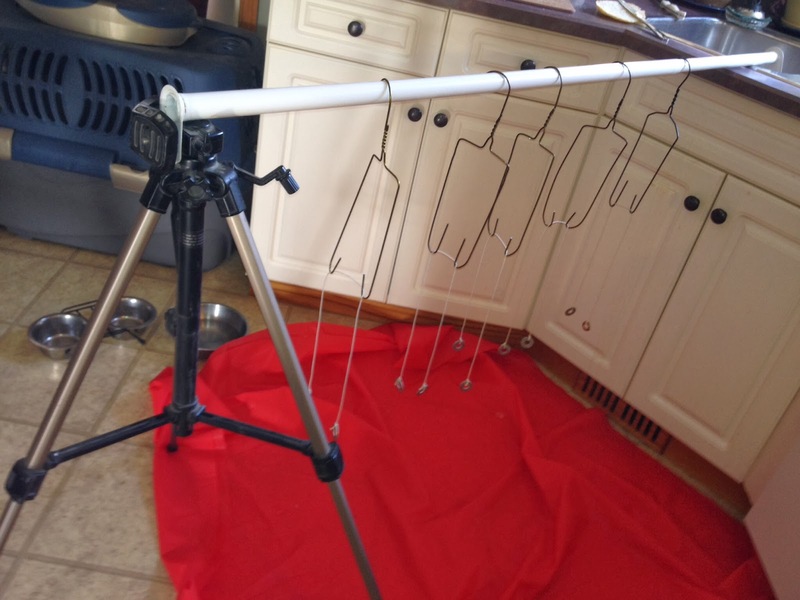 Tripod, closet rod, weirdly bent hangers, plastic table cloth. 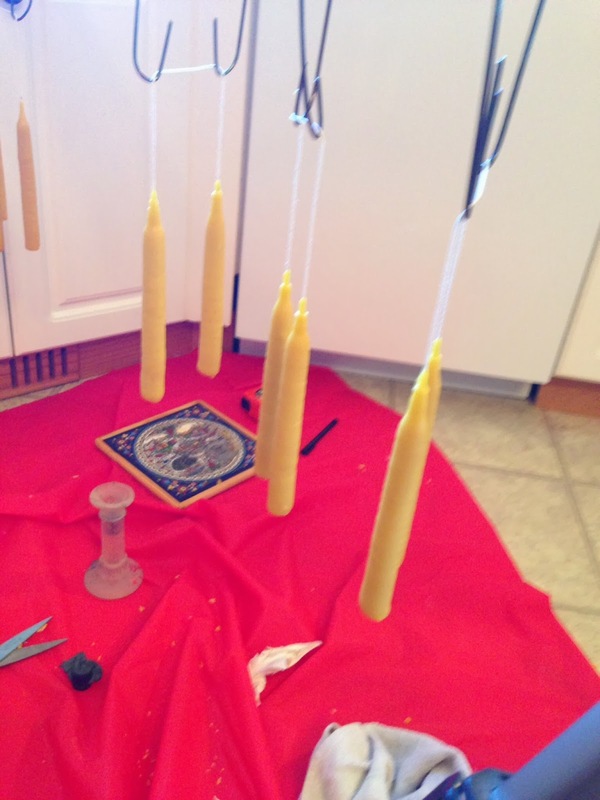 We weighted down the wicks with washers so they stayed straight to be removed after the candles have a bit of girth to them. Melted the wax in a pot of water on the stove until it reached about 180 degrees and then allowed it to cool unti the temperature read about 160 degrees. We returned the pot to the stove several times during the dipping. 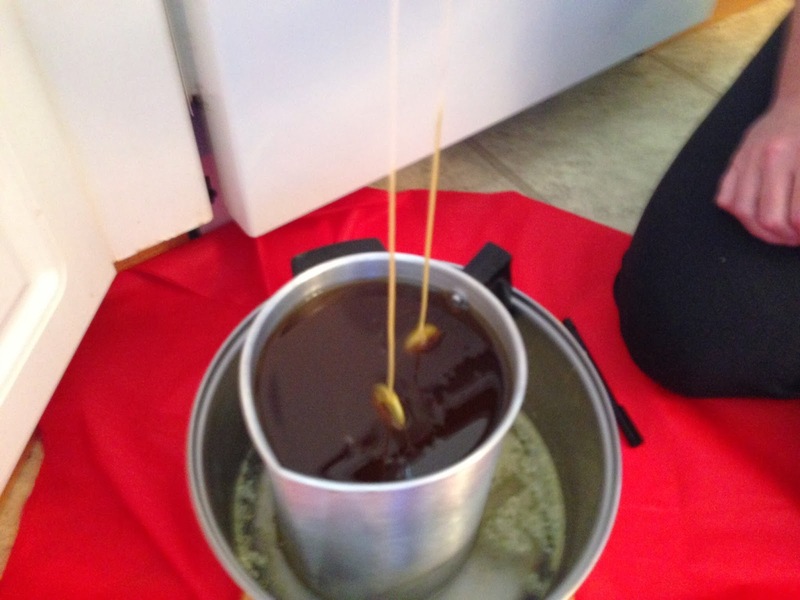 At about 150 degrees, the wax started to get lumpy. 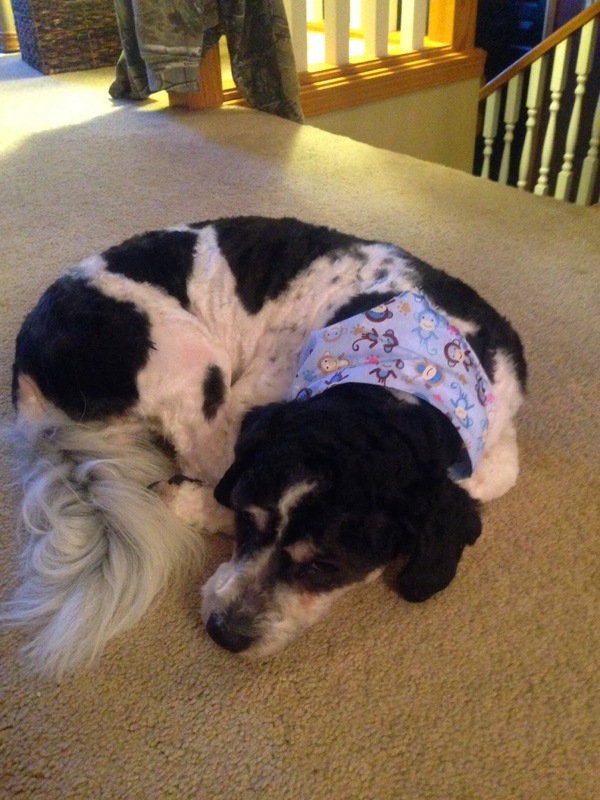 Mojo, the wonderdog, was thankfully bored with the whole process. I think it would be much harder to do with a dog on my head..a place he likes to sit while I knit. A fun day and no serious hot wax spills. Here's the results. When you said you were going to hand dip candles, I thought one or two of them... WOW I am impressed with these. YAY!